I’m part of an international collaborative research and training partnership between UC Davis and Fondazione Edmund Mach in Italy. Together, we are tackling Lyme disease, the most common vector-borne disease in North America and Europe. Our UC Davis team is led by principal investigator Janet Foley, a professor in the Department of Medicine and Epidemiology at the School of Veterinary Medicine, and includes doctoral candidates Risa Pesapane and Mary Straub, and me. This goal of this One Health project is to look for connections between tick ecology, Lyme disease and human health. Why partner with a university in Italy? While geographically distant, our regions share ecologically similar Mediterranean climates where ticks are abundant. The first thing I learned in the Foley Laboratory in Infectious Disease Ecology was how to complete tick extractions, with the help of Mary and junior specialist Kenny Lou. To our surprise, the Italian protocol takes much longer to complete than the one our lab uses, with techniques that were new to me and other student researchers. My past experience with sterile technique did not compare to the skills needed for the extractions in the Foley lab. Several steps ensure that everything is as sterile as possible, but it makes the process trickier. This technique is important for both research and surgery — and, in fact, anything medicine-related. Mary, a veterinarian, taught me how these skills are interrelated for human and animal medicine. 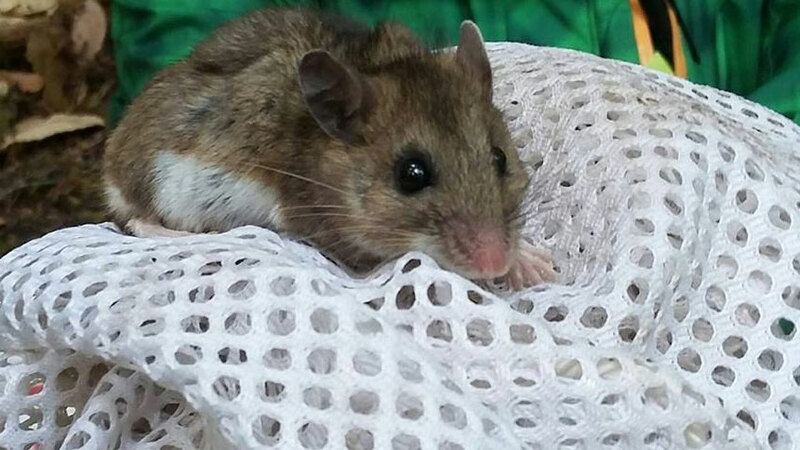 On a trip to Hendy Woods State Park in Mendocino County, Professor Foley, Risa and I trapped and processed deer mice (Peromyscus maniculatus), looking for the presence of infectious disease-causing bacteria. We collected blood, ticks and ear snips from each animal, all of which involve methods that are harmless. Our fieldwork required collaboration, initiative and effective communication. We all took turns doing different tasks to collect samples efficiently. I learned how to handle the animals precisely and safely, and take the correct steps in gathering data. I tend to have a soft voice. I didn’t notice it could be a communication issue until my team constantly found themselves asking, “What?” whenever I spoke. Professor Foley made sure I understood that speaking up in a strong voice will come in handy when I am a doctor helping a patient in chaotic situations. Being heard could save a patient’s life. I think it’s great that I am receiving constructive criticism from my team because it is helping me grow and become a better candidate for my intended career in immunology. I also got over my fear of spiders and insects. Risa taught me the best way to avoid them: always hold something in front of me while walking through paths with dense brush. This helped prevent any thorny plants or branches containing insects from hitting me. It also allowed me to notice huge spider webs I almost missed. As a bonus, I discovered I am not allergic to poison oak! Although progress has been steady since we started the project in early April, maintaining an international team has its challenges. I’ve found that it’s easy to lose a call on Skype and miss an important email that ended up in my spam folder. Figuring out a plan that fits into everyone’s schedule is also taxing. A big portion of this partnership involves each institution teaching the other about local field ecology, techniques and lab methods. While at times complicated and time-consuming, adapting to techniques from each lab has broadened my experience considerably. This project is estimated to be completed in one year. Soon we will exchange students between Fondazione Edmund Mach and UC Davis. We hope to incorporate what we’ve learned into an international curriculum, one that may be integrated into a UC Davis Study Abroad program in Italy. Plans also call for an undergraduate course on investigating the ecology and epidemiology of tick-borne disease for the global disease biology major at UC Davis. All in all, this experience has been very rewarding. In just a few months, I’ve expanded my knowledge and skills as a future doctor and Ph.D. candidate. Beyond lab and fieldwork, I’ve had the opportunity to meet with doctoral students in areas ranging from disease ecology to epidemiology. And I’ve attended their lab meetings, giving me a firsthand look at some of their experiences and challenges. While the road to a successful research project is definitely challenging, the learning never really stops. I love that. Maria Sanchez is a fourth-year undergraduate majoring in global disease biology. 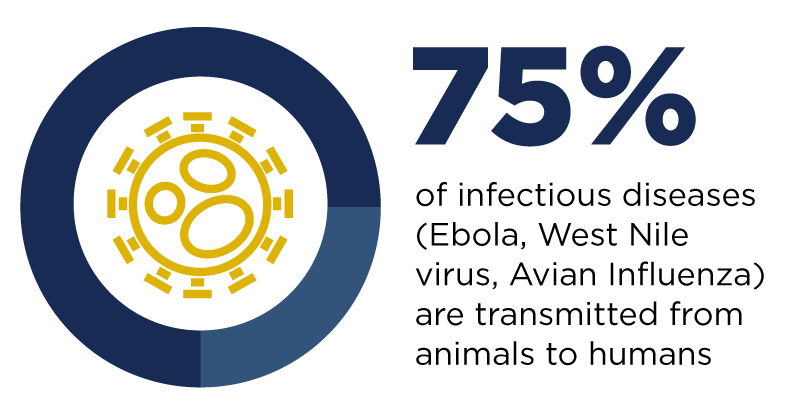 One Health is an approach to ensure the well being of people, animals and the environment through collaborative problem solving — locally, nationally, and globally.